Sal Amato is a recognized leader in global wildlife law enforcement. Salvatore Amato is an accomplished and recognized expert in domestic and international wildlife and environmental law and enforcement. 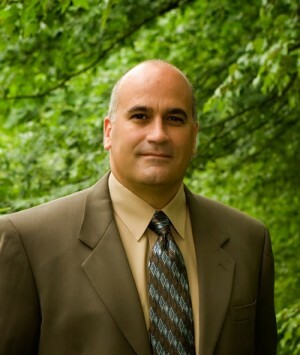 Mr. Amato has over twenty-four years’ experience in the field of wildlife law enforcement, with experience at both the state and federal level. Mr. Amato’s distinguished career includes eleven years of experience as a senior manager with the U.S. Fish and Wildlife Service (USFWS) with experience at both the headquarters and regional office levels. Mr. Amato is a nationally recognized expert on the Endangered Species Act, the Migratory Bird Treaty Act, the Eagle Protection Act, the Lacey Act, and the Tiger Rhino Protection Act. Mr. Amato has extensive experience in natural resource and habitat conservation, wildlife trade issues, port operations, compliance and regulation including implementation of the Convention on International Trade in Endangered Species of Wild Fauna and Flora (CITES). He possesses strong, demonstrated management skills in the areas of budget formulation and execution, as well as program evaluation, monitoring and assessment. Mr. Amato has a strong background in receiving and providing training in team building, coaching, strategic and workforce planning as well as extensive experience in International training and capacity building, both from his time as the Head of the USFWS Intelligence Unit and as a member of the INTERPOL Environmental and Wildlife Crimes Working Groups. Mr. Amato has served as the Special Agent in Charge, leading the USFWS law enforcement program in the Northeast. As such he provided oversight and management to the enforcement efforts of special agents, wildlife inspectors, and administrative support staff located throughout 13 states. His efforts ensured the pursuit of high-priority investigative work that exposed elephant ivory and coral smuggling; illegal commercialization of native turtles, striped bass and other species; and destruction of endangered species habitat. Mr. Amato’s responsibilities also included oversight and management of the import/export inspection operations at four designated wildlife ports, including New York — the largest port of entry for wildlife in the United States. Responsibilities at these ports included detecting and interdicting illegal wildlife as well as facilitating the expeditious movement of lawful wildlife trade. Previously, Mr. Amato served as the Special Agent in Charge of the Branch of Special Operations, directing complex, long-term covert investigations and the intelligence functions of the USFWS. Mr. Amato directed a multiyear undercover investigation of global trafficking in sea turtle skin and shell that resulted in the successful prosecution of numerous black market operatives from the U.S, Mexico, and China honored as a Significant contribution to global wildlife law enforcement at the 15th CITES Conference of Parties. Also during his tenure Mr. Amato transformed a fledging intelligence operation consisting of one analyst into a fully functioning intelligence unit supporting special investigations and agents in the field. As a member of the Headquarters management team Mr. Amato also played a significant role in developing the Office of Law Enforcement’s five year Strategic Plan including its strategies, objectives and corresponding performance indicators. Mr. Amato’s investigative experience includes the full range of Federal wildlife crimes. He has planned, conducted and supervised investigations resulting in successful prosecutions of those responsible. Most notably, Mr. Amato was the lead case agent in a multi-agency investigation that resulted in significant prison sentences and a $10.4 million criminal fine, the largest ever at the time for a wildlife trafficking prosecution in US history. Assisted by US Customs, the FBI, and FDA, the investigation involved the trade in black market caviar by a Maryland based company. Recognized by the U.S. Attorney’s Office, District of Maryland, and the Director of the FBI for outstanding contributions related to that investigation and prosecution.